Everton are demanding £28m plus add-ons for Ademola Lookman to join RB Leipzig, according to Sky sources. On Monday, Leipzig had made a fresh £22m offer for the 20-year-old winger. Leipzig, where Lookman impressed on loan last season, also saw a £12m offer rejected back in July. 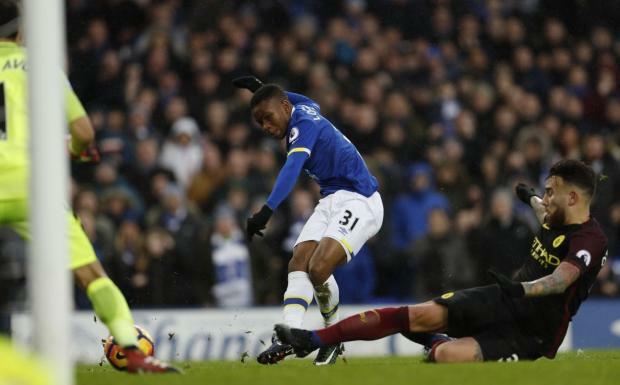 Everton manager Marco Silva admitted last week that Lookman was unsettled but had trained well in the build-up to Saturday’s game against Southampton, where he was an unused substitute. Silva is understood to have been impressed with the way Lookman handled being dropped altogether for the season opener against Wolves. Silva has also said this summer that he wants to keep the player, that Lookman is the club’s “present and future”, and he was doing everything “to make him happy again”. RB Leipzig head of recruitment Paul Mitchell – a potential candidate for Manchester United’s new technical director role – is thought to be a long-term admirer of Lookman, who joined Everton from Charlton Athletic.